A recent post by Mike Gunderloy on Web Worker Daily had me thinking about the keyboard vs mouse debate that simmers gently in the background most of the time, punctuated by bubbles of gas rising to the top, exploding moistly into splatters of mild controversy. 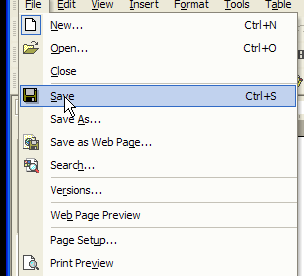 Let’s face it, who hasn’t had to rein themselves in when they see a colleague (or worse, a loved one) taking their hands from the keyboard to mouse to the “File” menu and search for “Save”, when a simple “Control-S” would have got the job done? You may safely put me on the guilty side of that line. Now I get as annoyed as the next keyboard snob when someone takes their hands from the keys, ignoring a perfectly good keystroke combo, to reach for the mouse to get to a menu item. I think that at least sometimes I am right – the person should know the efficient way to get the result because detailed knowledge of the package is something that is expected of them in the performance of their job. In those situations I let them know. Sometimes even diplomatically. As often though, the individual is an occasional or inexperienced user who doesn’t need to know the ways of the expert and frankly doesn’t care – the program is a means to an end and the second or two of excise is insignificant. Microsoft will probably move this in the minute or two after I post, but right now at the very moment I’m typing this, there’s a whole bunch of shortcuts for Office if you go here.